Guinness has unveiled a campaign celebrating John Hammond, the US record producer who defied racial segregation to promote black artists. The spot, filmed in atmospheric black and white, is set in the 1930s, when segregation was commonplace. Black and white musicians rarely played together at the time, and club audiences were often restricted on the basis of skin colour. Hammond, however, was undeterred by issues of colour or race, and put musicians who played "great jazz" on his radio show. He went on to discover Billie Holiday and Aretha Franklin. The spot, part of Guinness' 'Made of more' campaign, was produced by AMV BBDO. It features a remix of big-band leader Benny Goodman's version of the jazz standard 'Sing Sing Sing'. 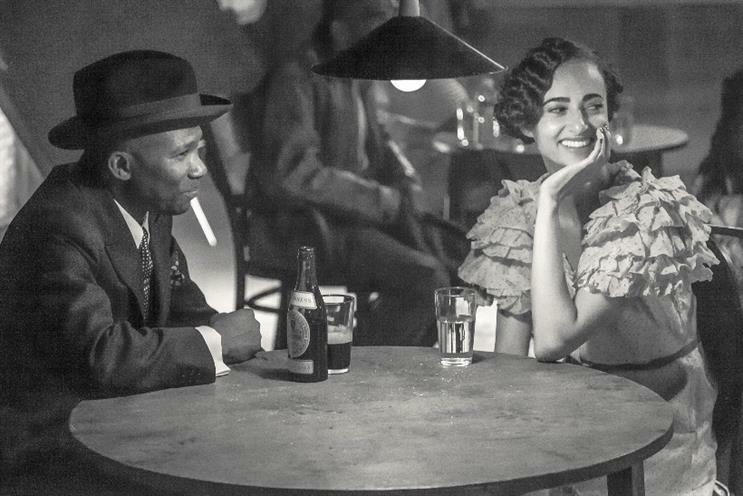 Guinness has taken a social-first approach with the campaign, becoming the first brand to launch a 60-second video spot on Instagram in the UK and Ireland. The campaign is supported by TV, social and PR.